Part of having a nice manicure is keeping well-shaped nails. My nails are extremely hard and filing them seems like a chore sometimes. I have a gorgeous and functional crystal nail file to share with you today from Design Glassware by Mont Bleu. 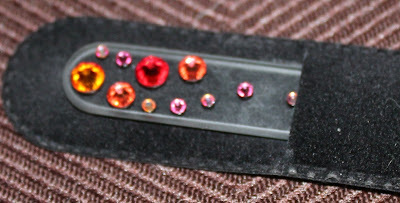 It even has Swarovski crystals which add a fashionable flair to the file. 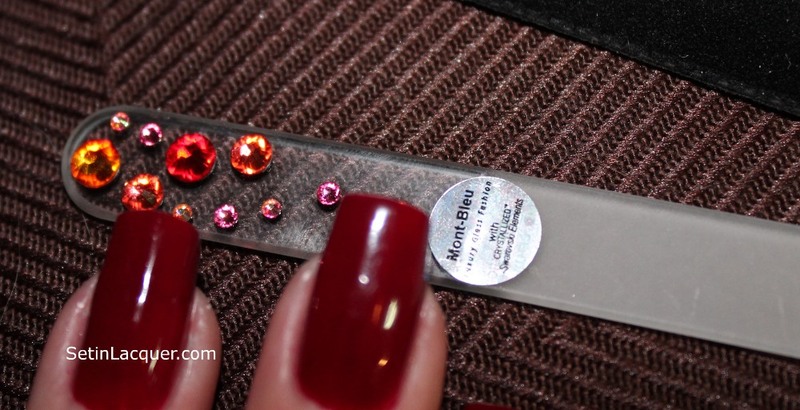 Glass nail files are made from high quality tempered Czech glass decorated with Swarovski crystals, one of Mont Bleu's bestsellers. "Ranked as the safest and durable manicure tool, our glass nail files will satisfy any need of yours; whether for professional use or home nail do," Mont Bleu website. 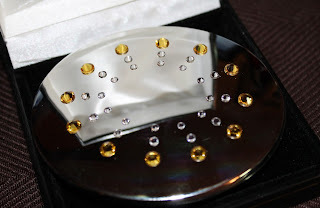 They offer plenty of designs, even with silver figurines, and semi-precious stones. This one costs about $14. I eagerly tried the file on my nails. It had a great feel to it. The crystals actually help in gripping the file. It had a nice bite to it. It filed quickly and evenly without catching on the nail. This is a file I would definitely keep in my purse. I have used a lot of files and they normally aren't something I consider a fashion forward accessory - until I saw and tried this file. Mont Bleu has a lot of different products. 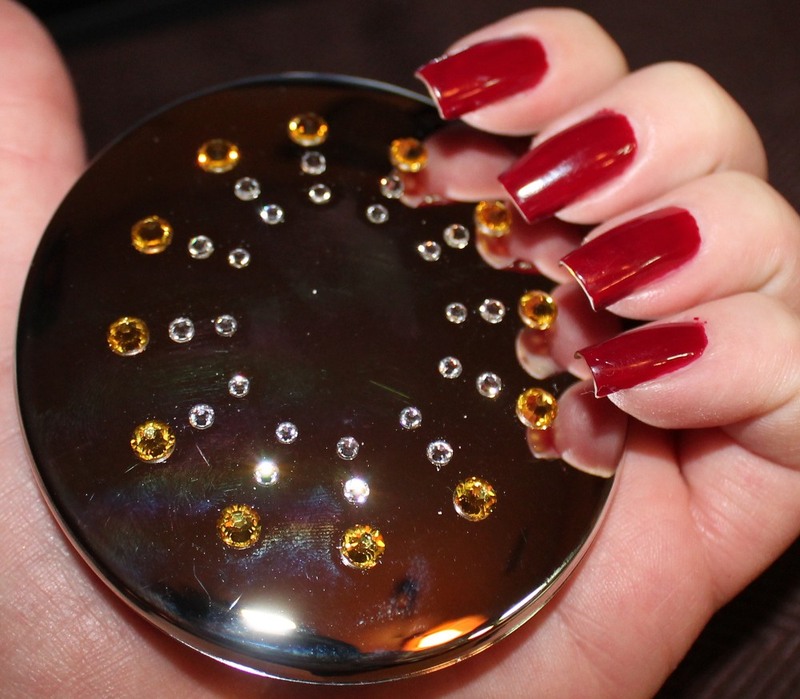 I also received a gorgeous compact with Swarovski crystals. They have a wonderful variety of designs - high quality plastic or metal. 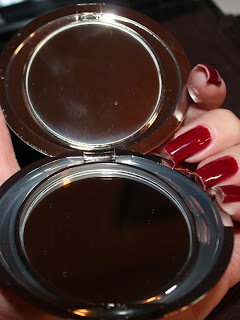 The one I received is a plastic mirror with two mirrors inside. I will definitely be placing an order from Mont Bleu in the near future. I am in love with these nail files. Maybe I will even order some customized "Set in Lacquer" files to share with a few readers.